Girls football is coming in 2017! 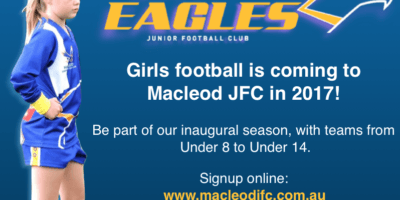 Macleod JFC is proud to announce we will be fielding all-girls teams for the very first time in season 2017! This presents a unique opportunity for interested girls to be part of our inaugural season, and be part of what promises to form an important component for our club going forward! 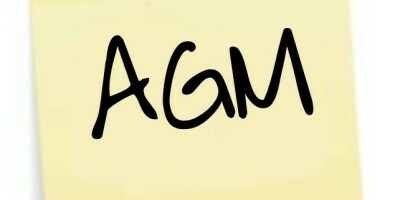 Thanks to all those who attended the 2016 Annual General Meeting of Macleod JFC. Along with the presentation of the annual report, the election of the 2017 committee was conducted, and we also had some great discussion around a number of items from this year and moving forward.